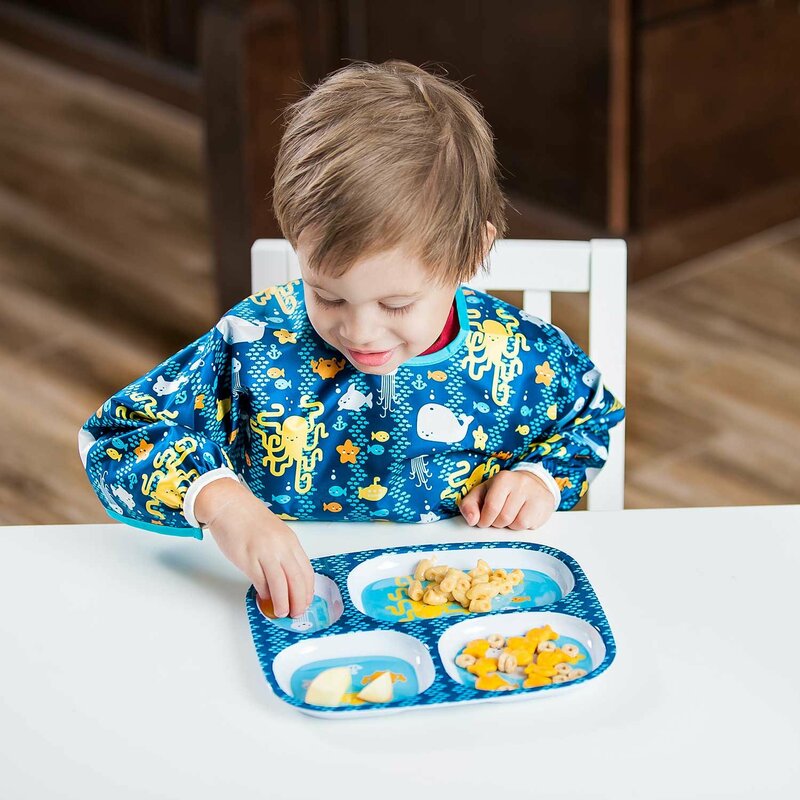 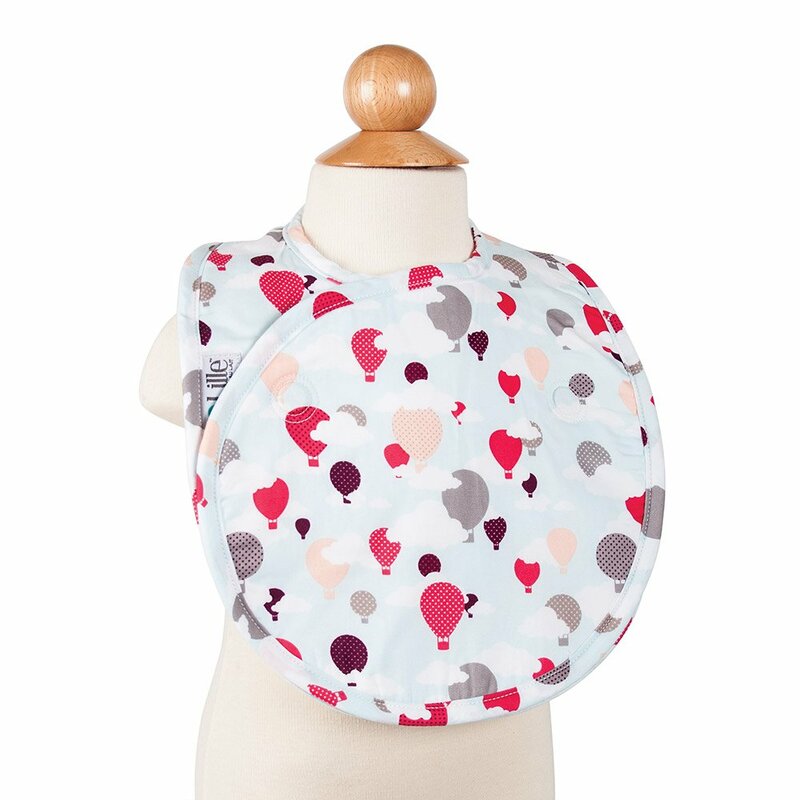 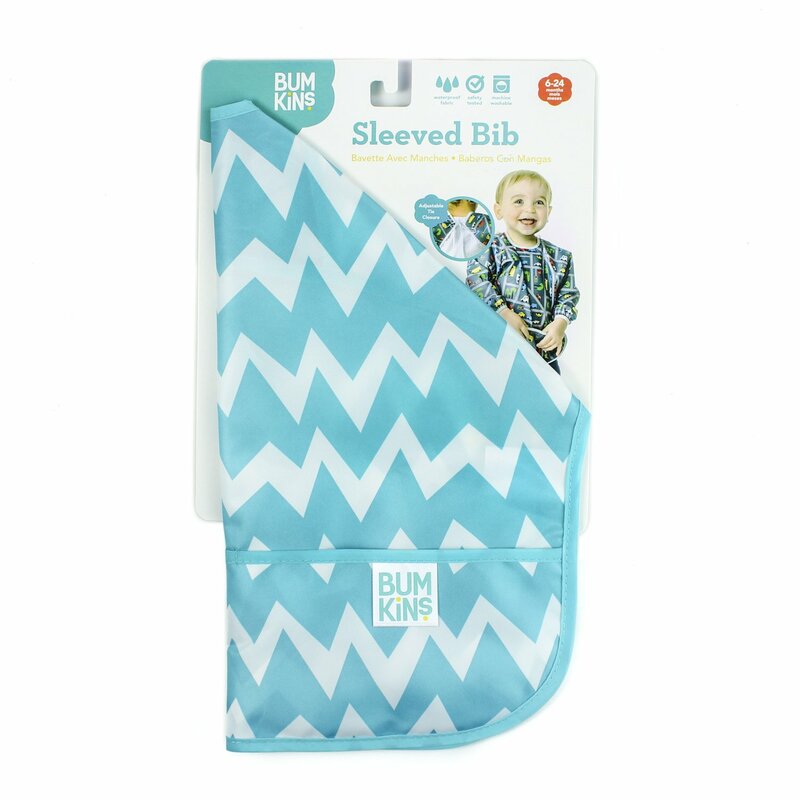 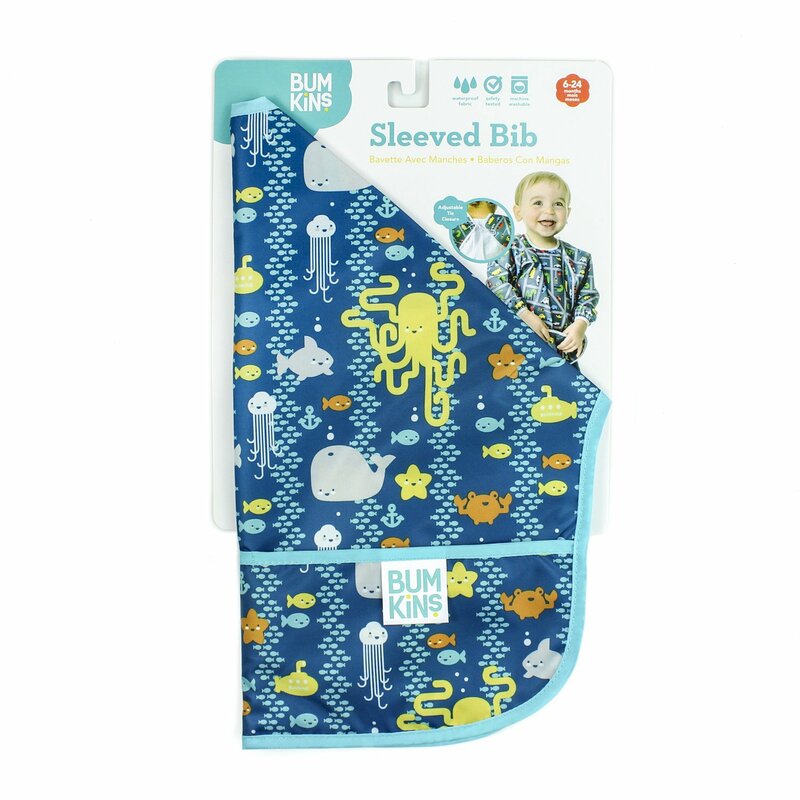 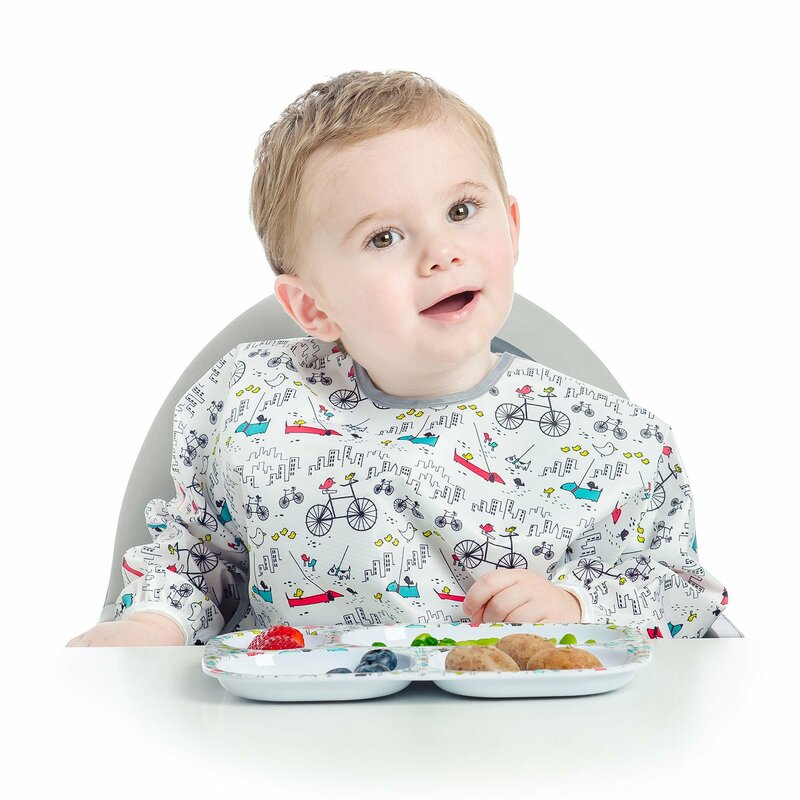 Bumkins Sleeved Bib makes feeding time fun and easy. 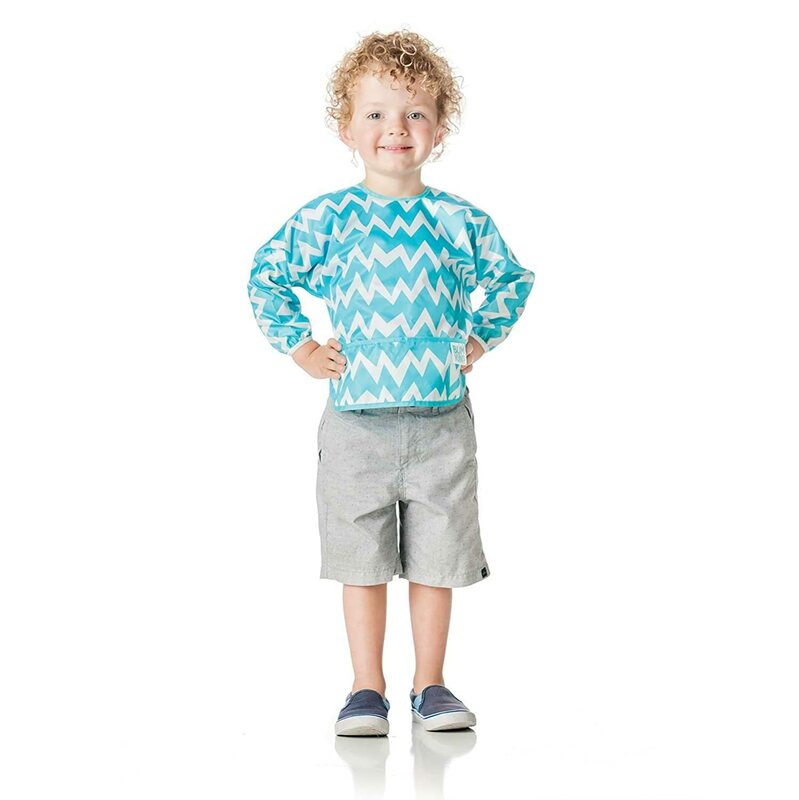 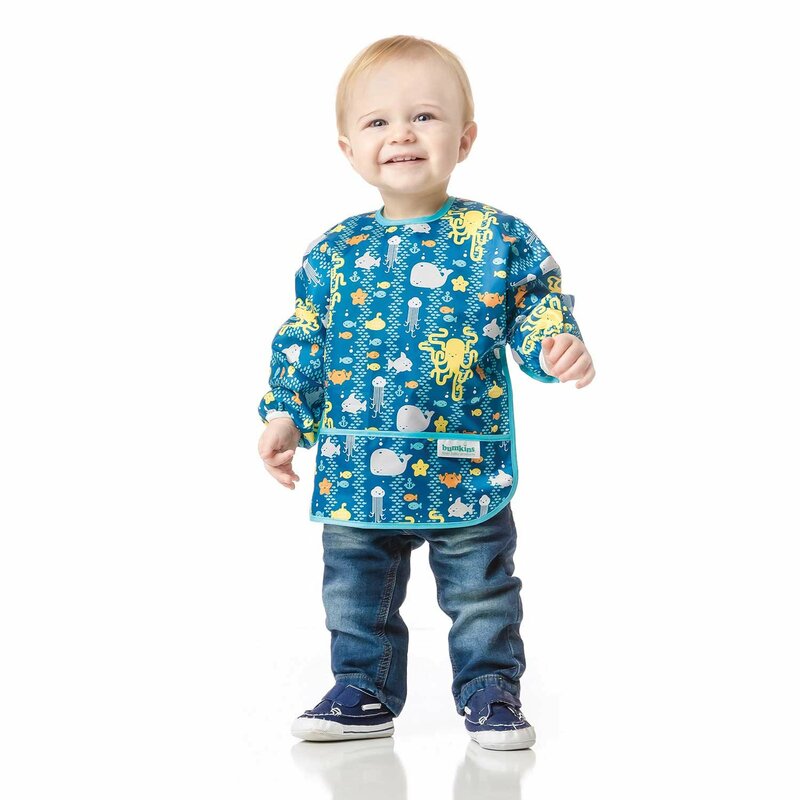 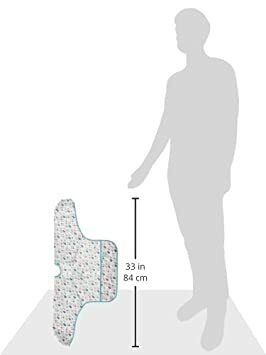 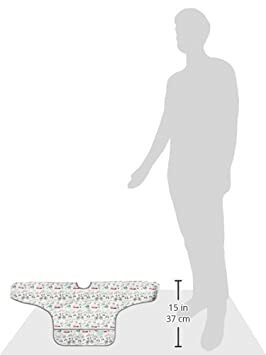 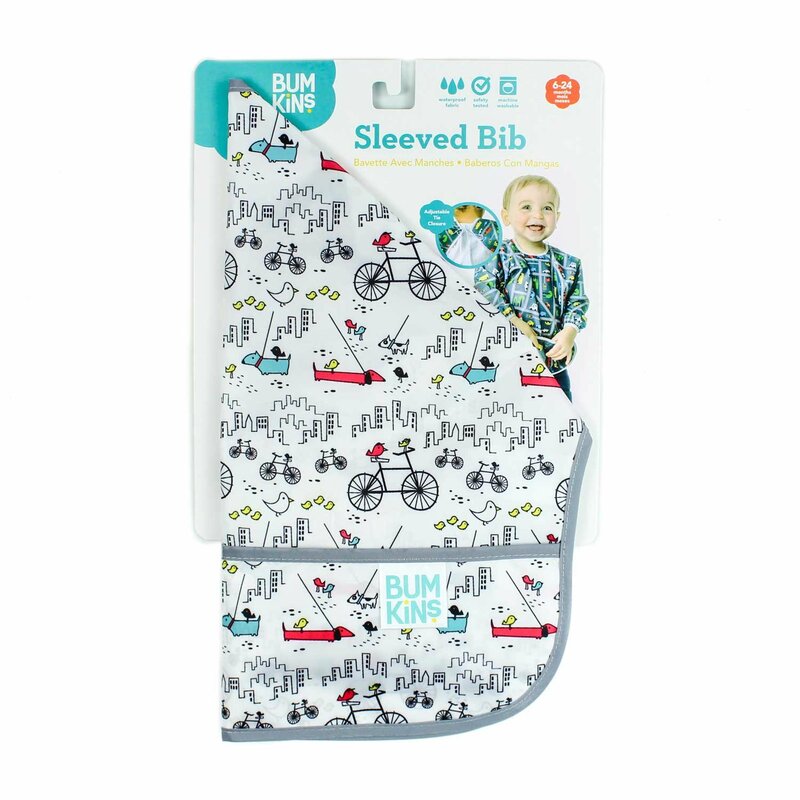 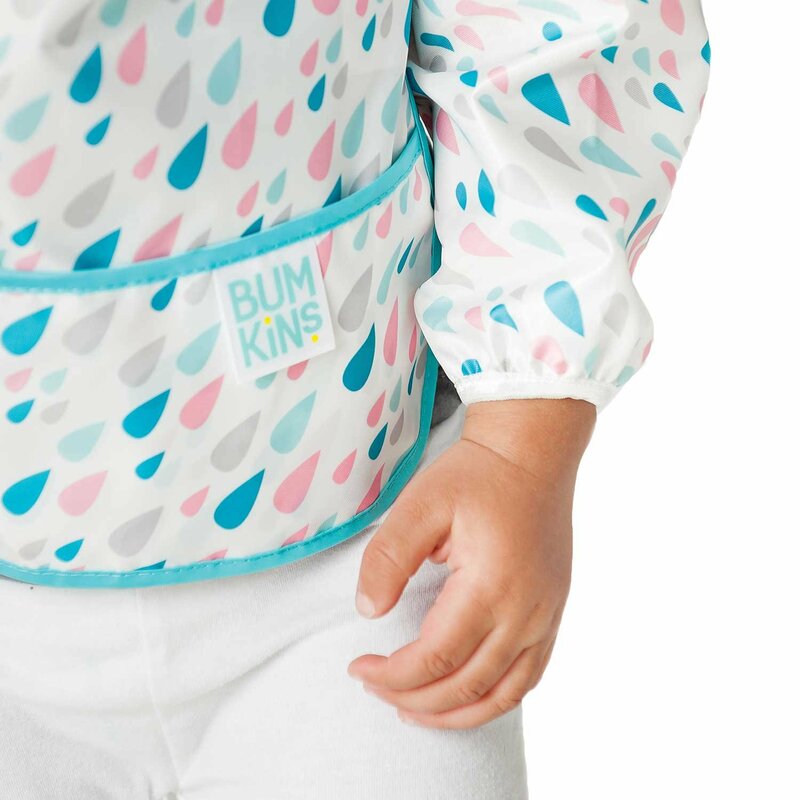 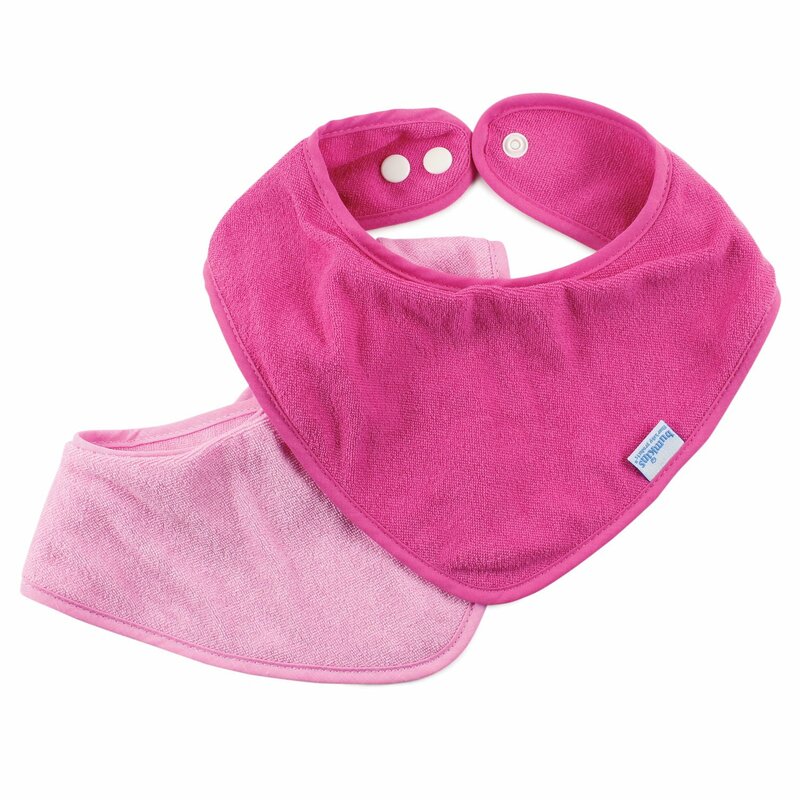 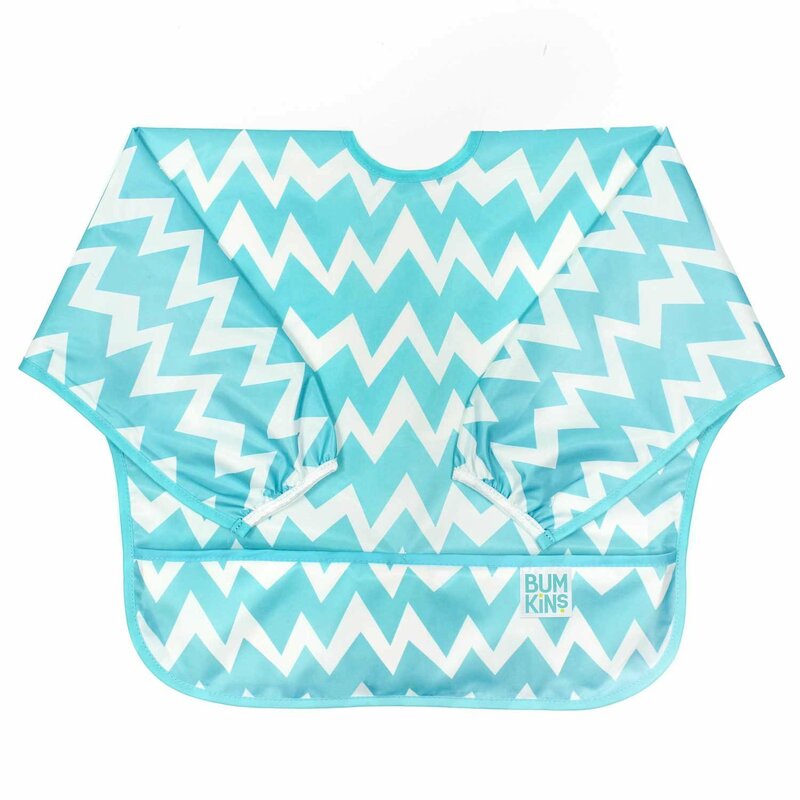 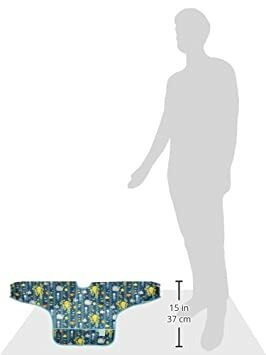 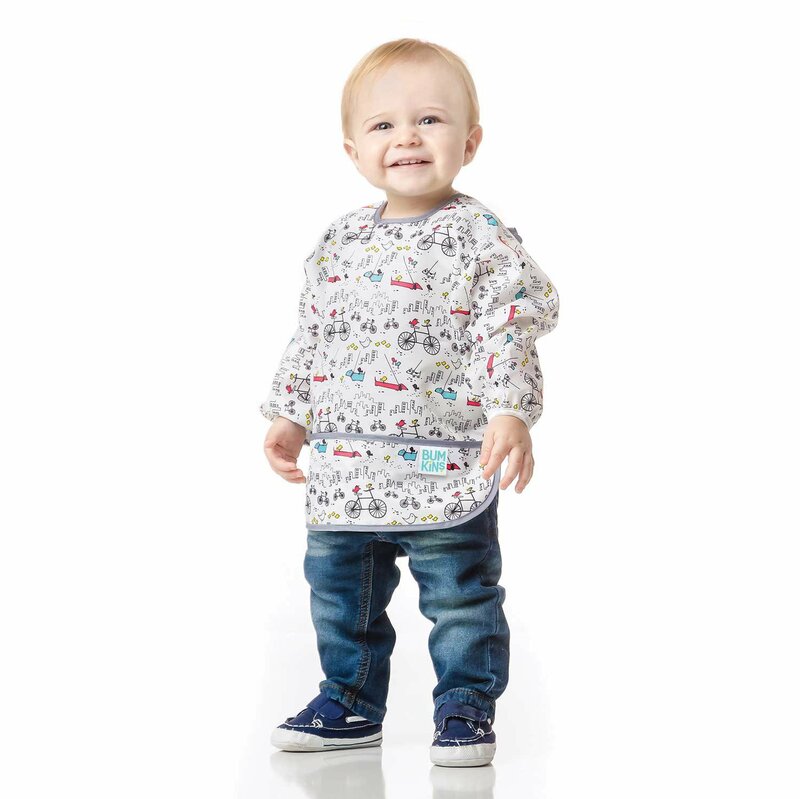 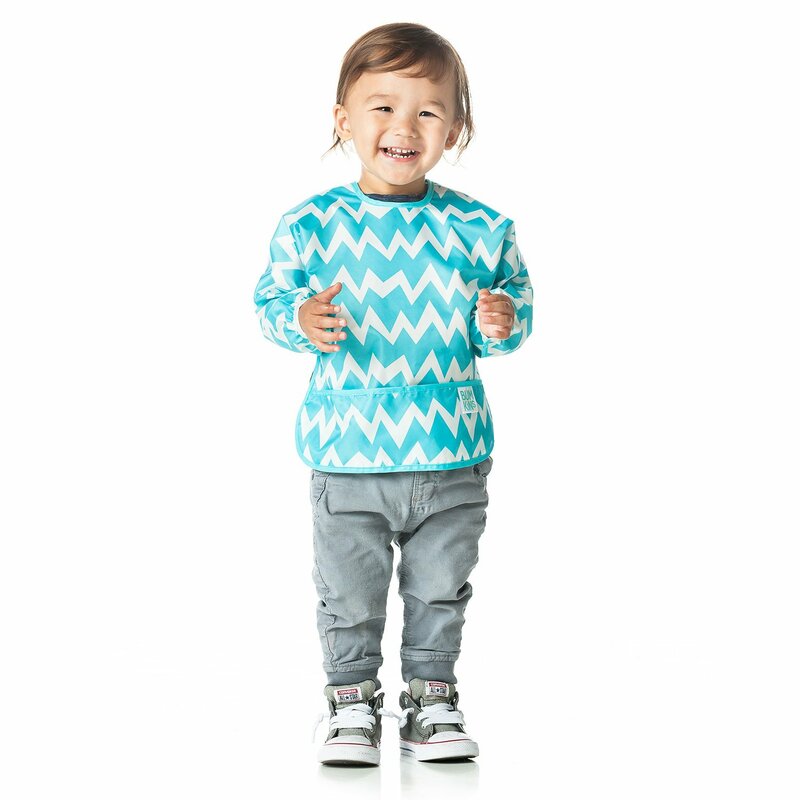 Made from Bumkins lightweight, easy wipe, machine washable waterproof fabric, making it both comfortable and durable. 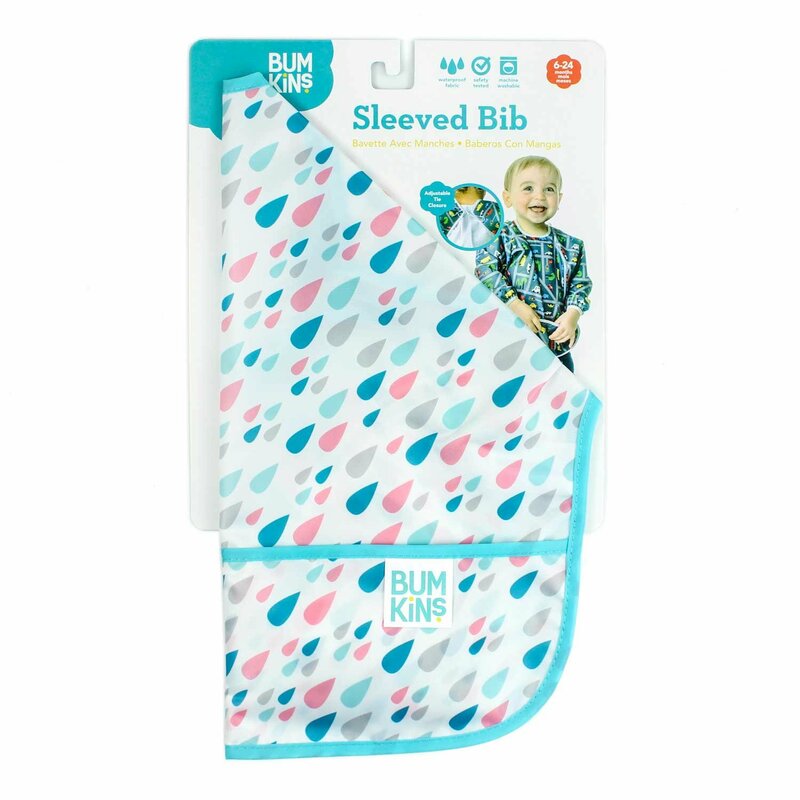 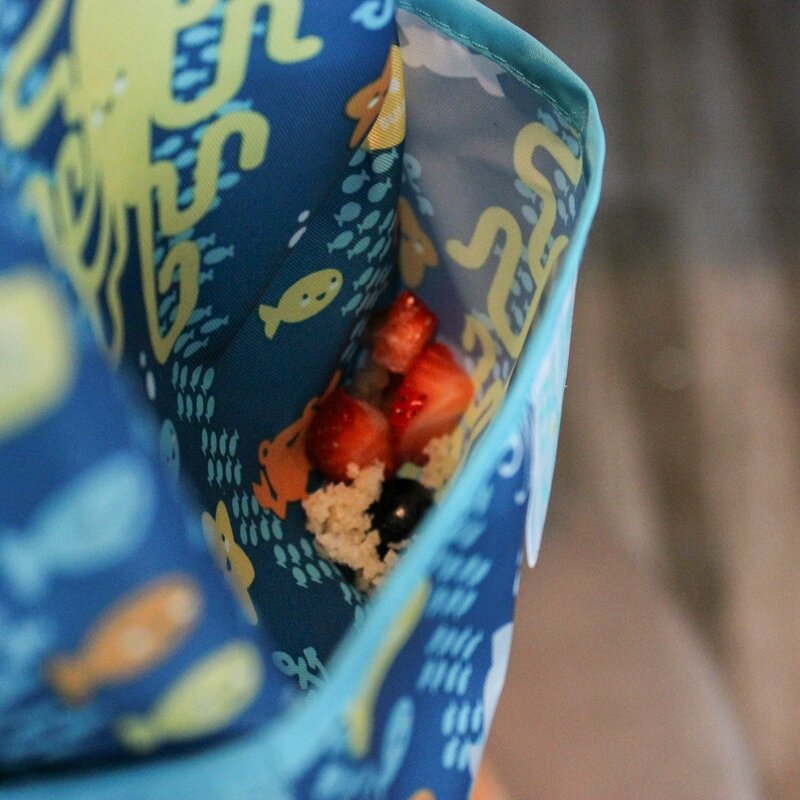 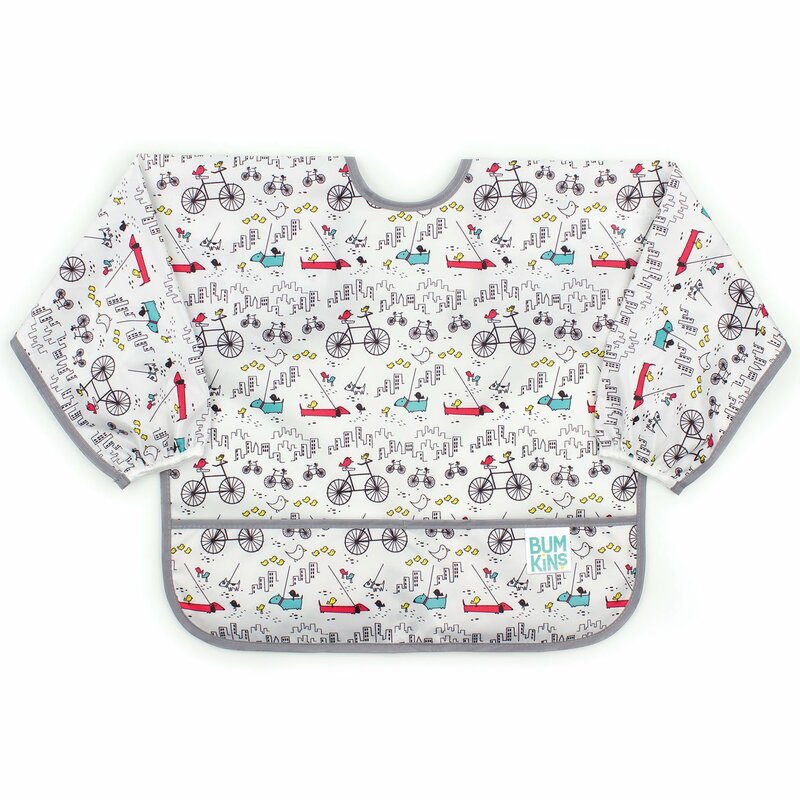 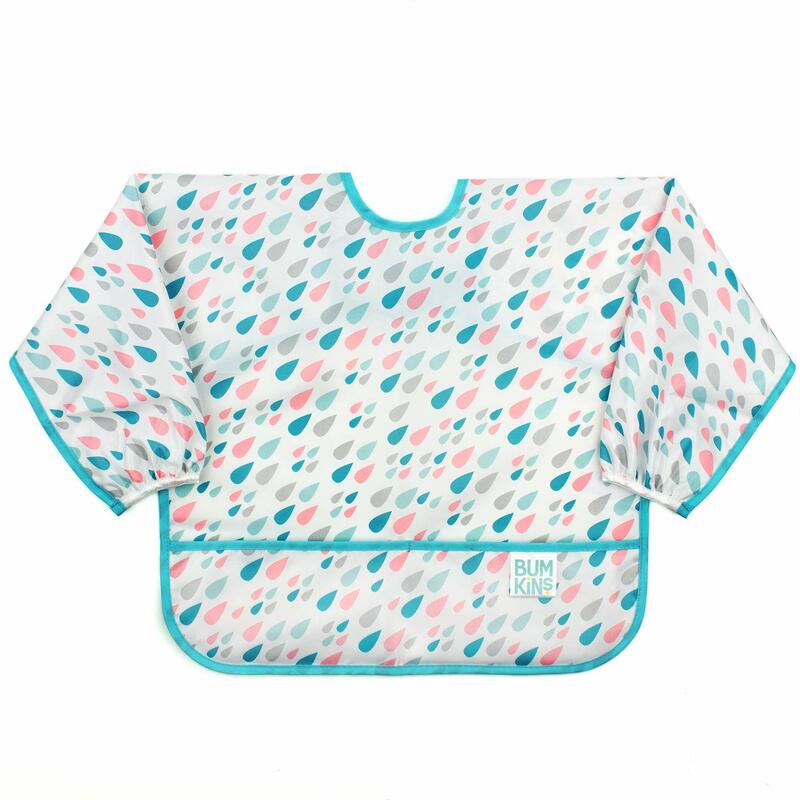 With a generously sized, catch-all pocket, this hard working bib is great at containing spills and reducing loads of laundry. 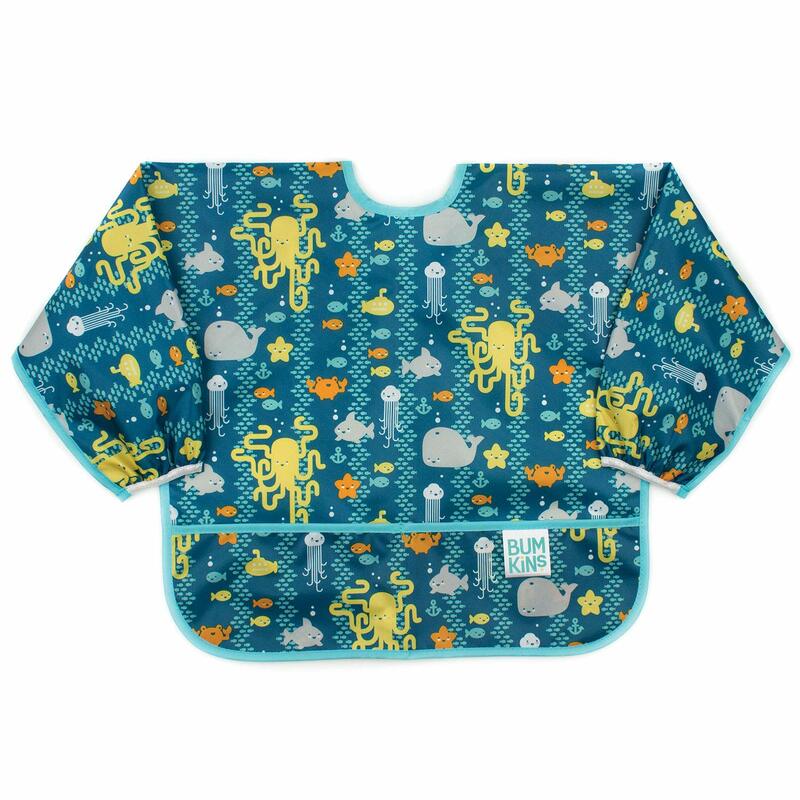 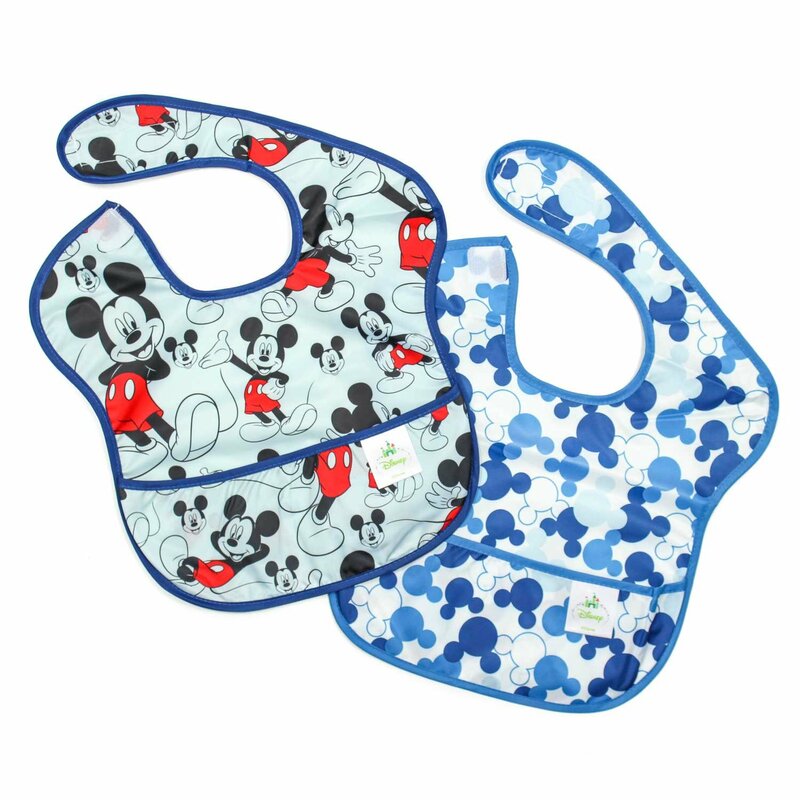 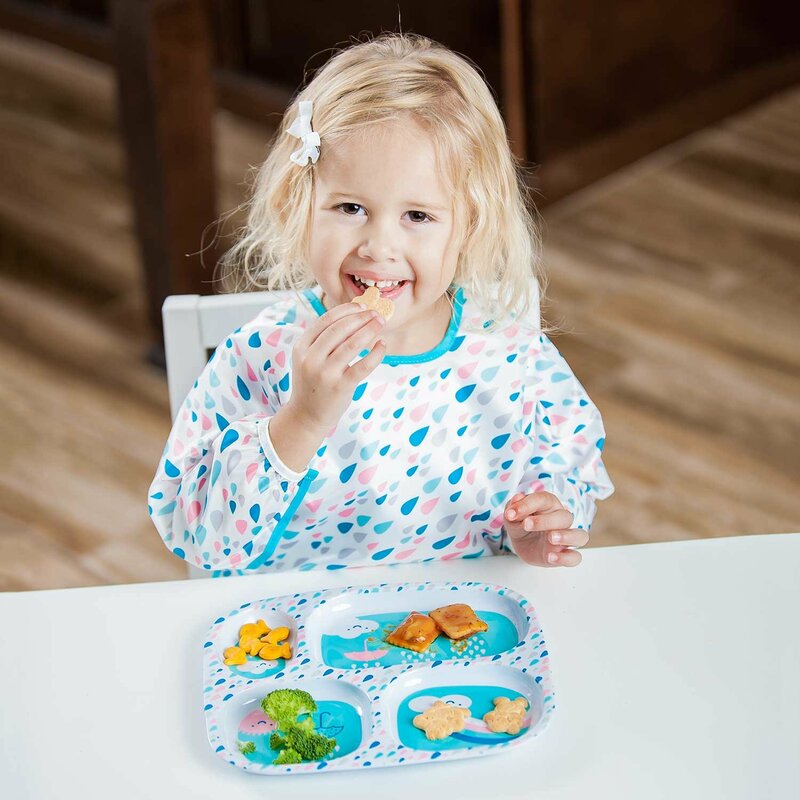 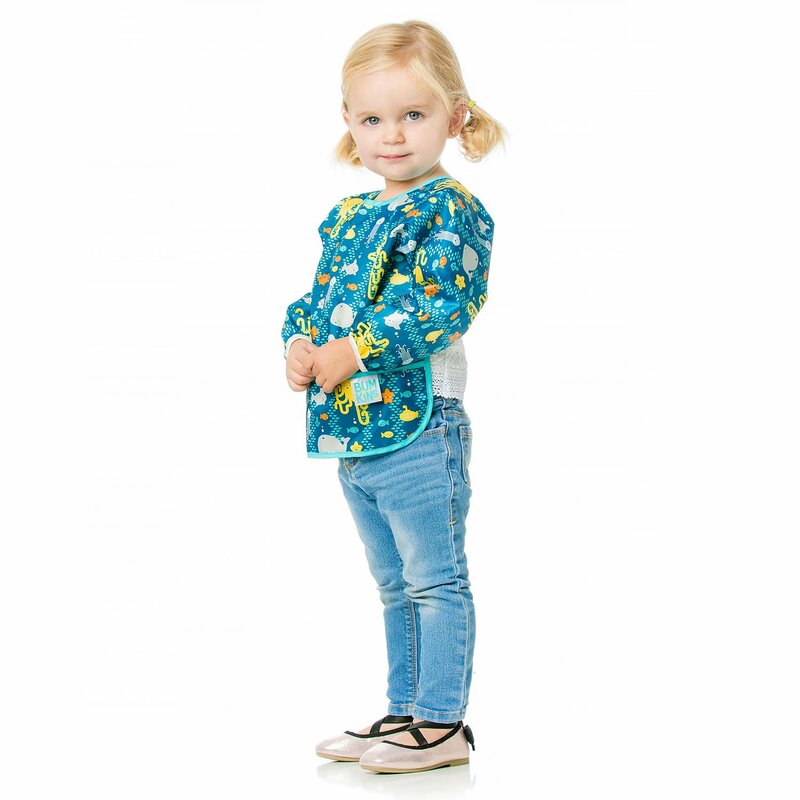 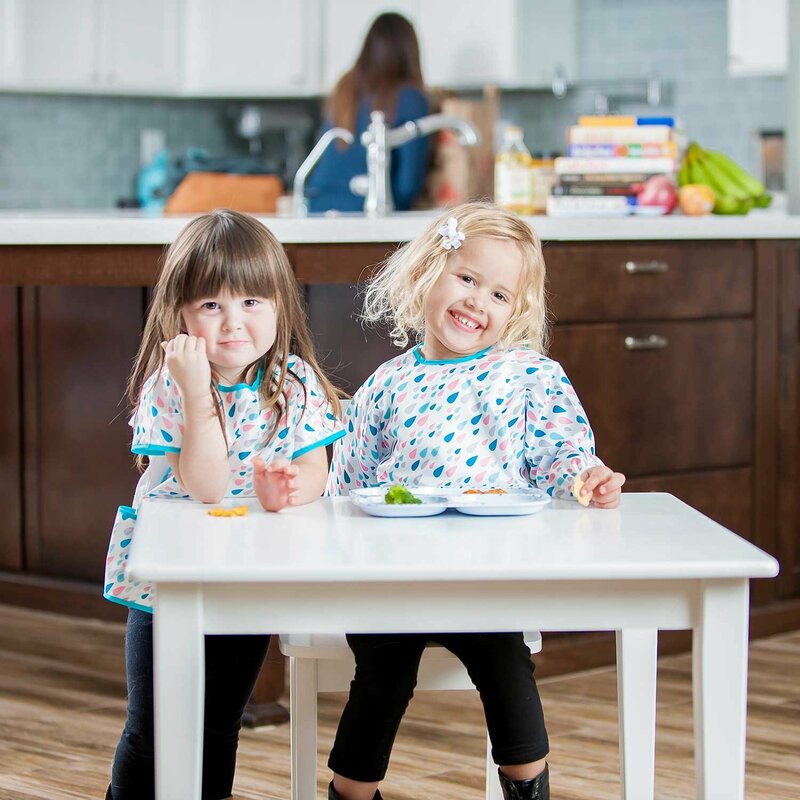 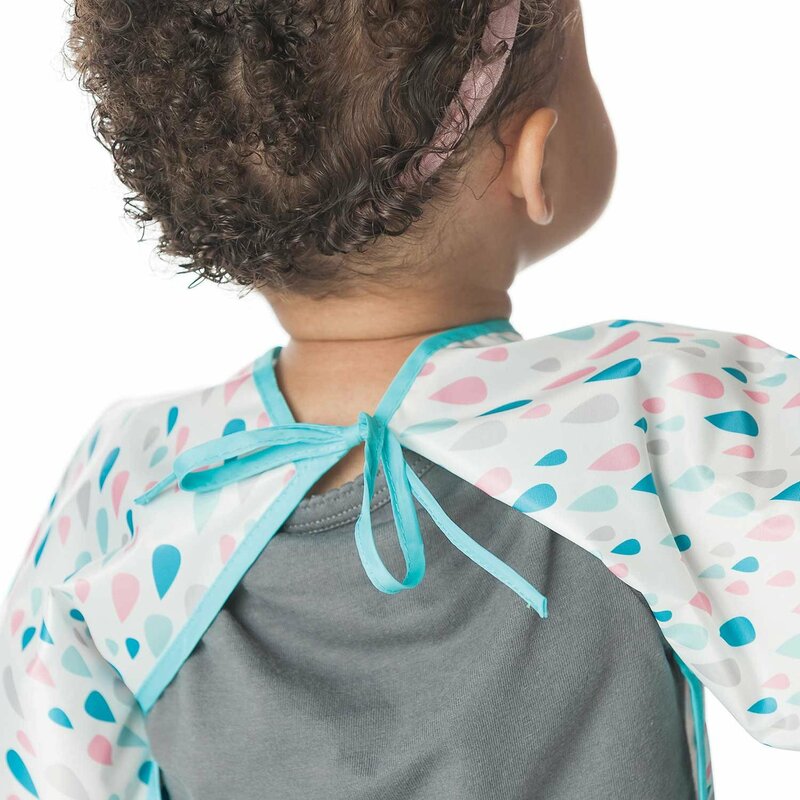 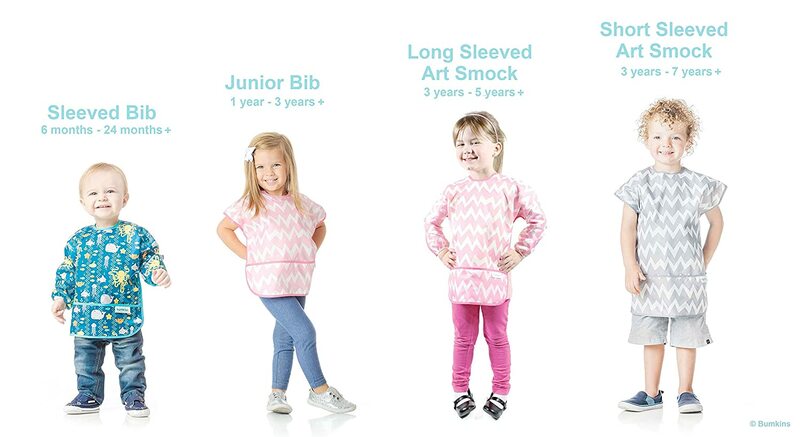 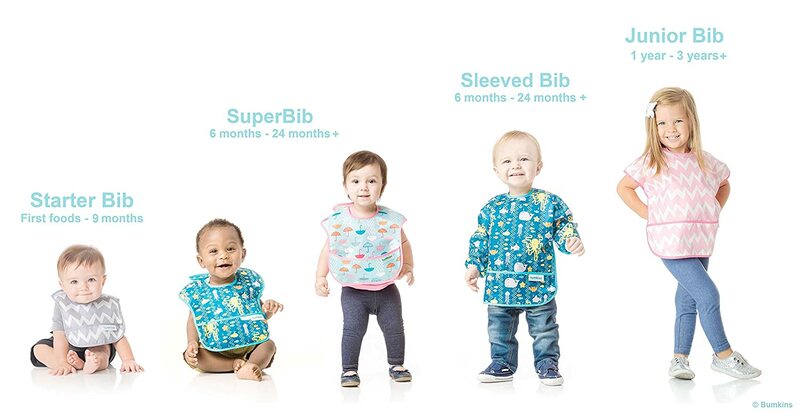 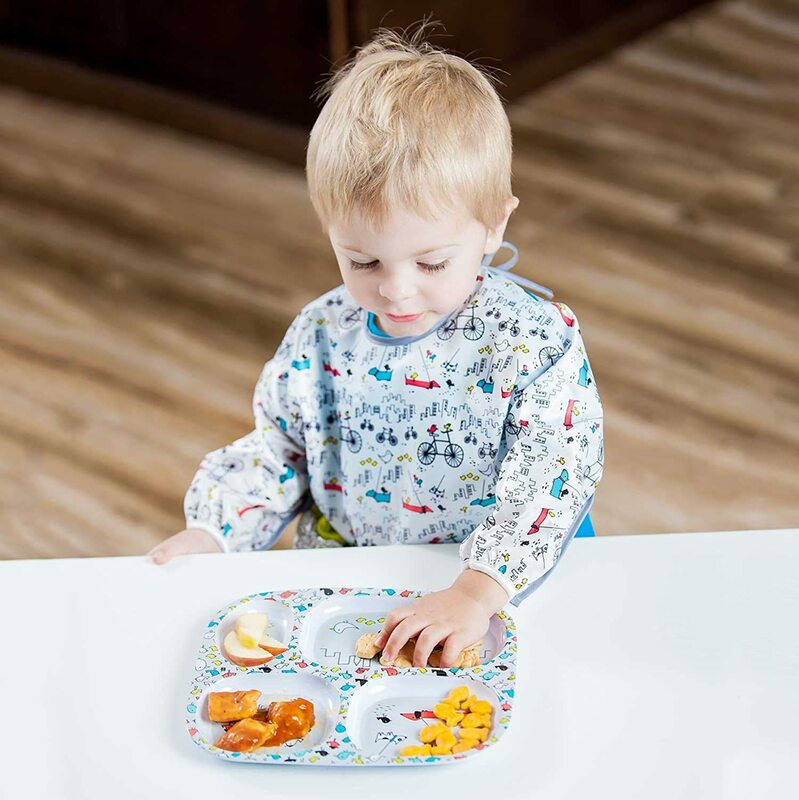 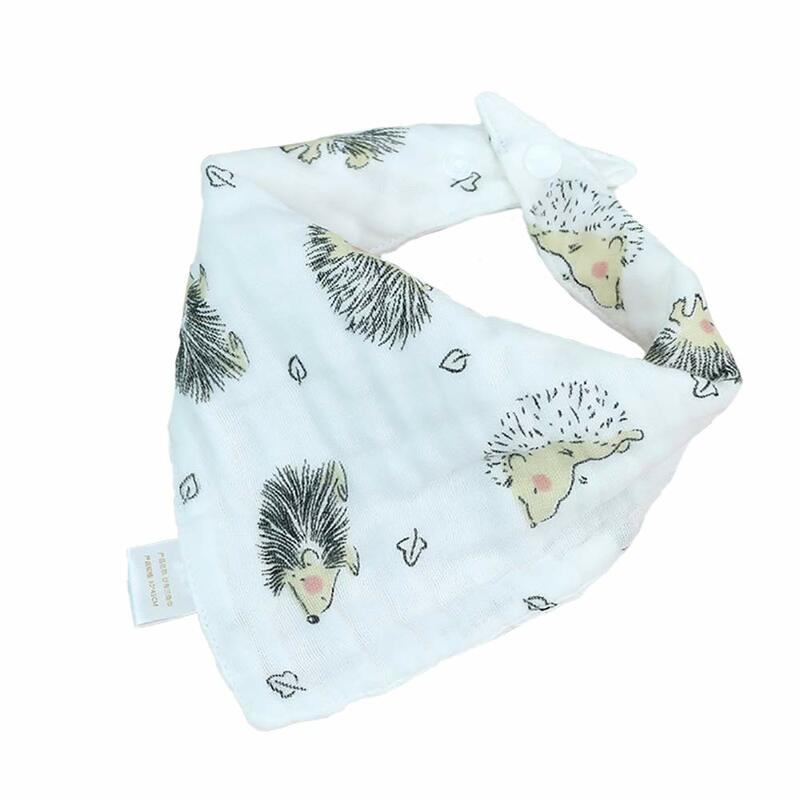 Sized to fit ages 6 months to 2 years, this bib features elasticized cuffs for an adjustable sleeve length and back tie closure for a comfortable and custom fit. 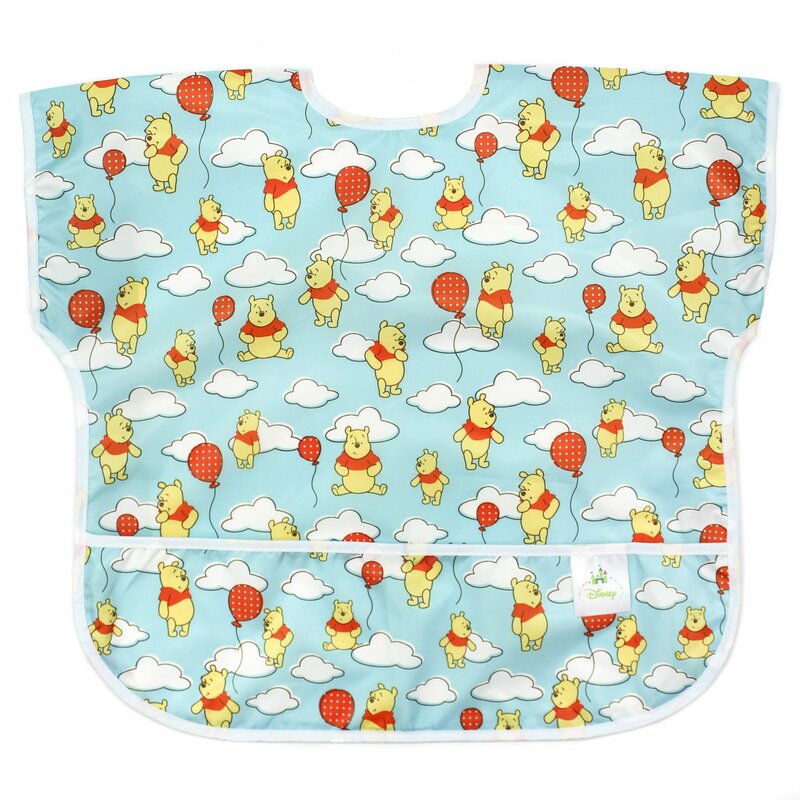 I love the fabric pattern on this bib. 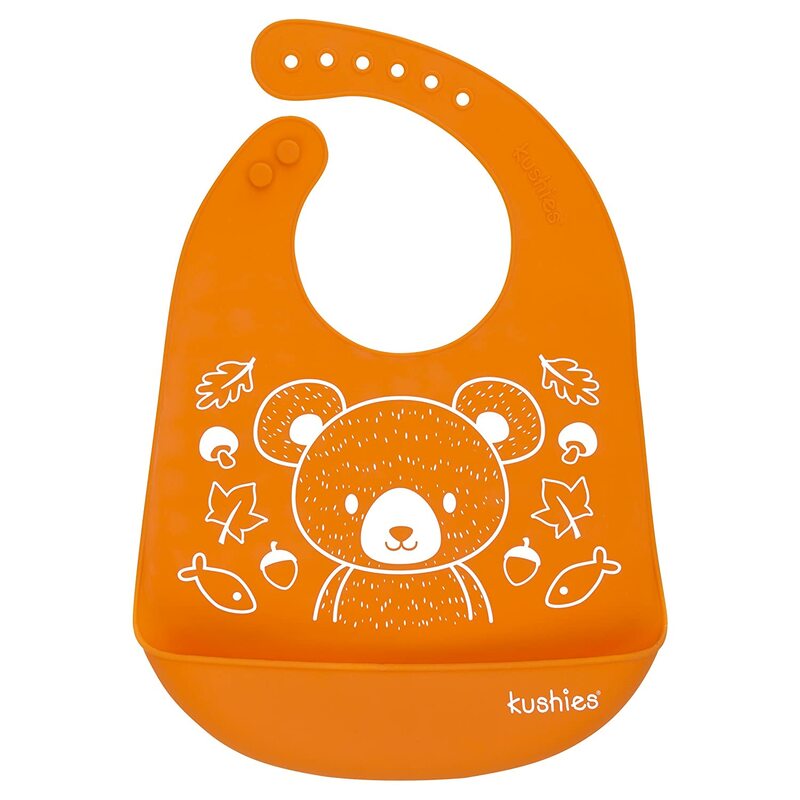 Itu2019s easy to clean which is a big plus but it doesnu2019t cover babyu2019s thighs so he still gets some food on his lap but it definitely covers the chest, arms and torso. 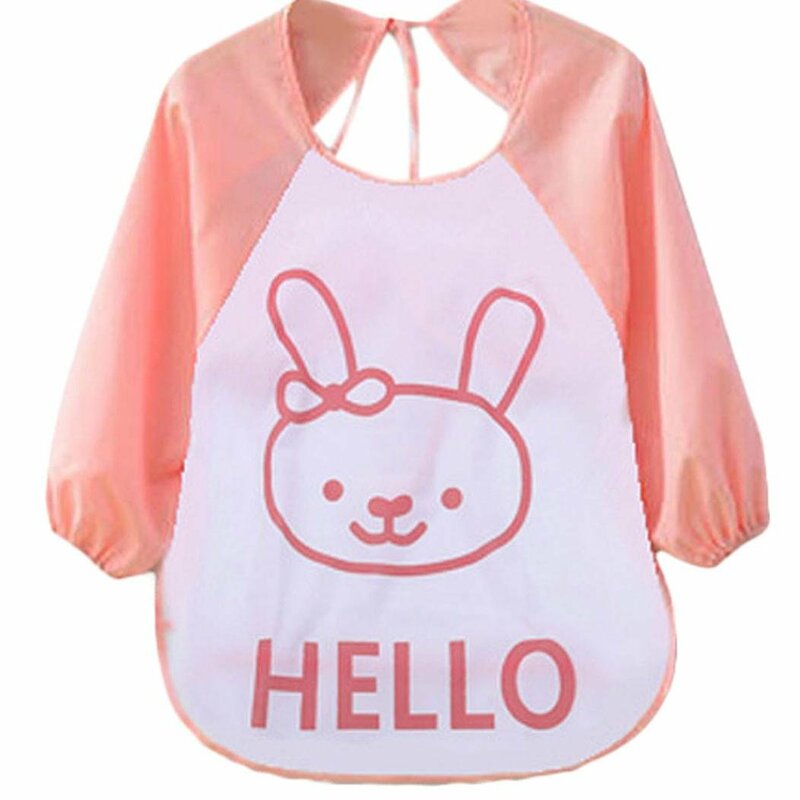 Great item overall. 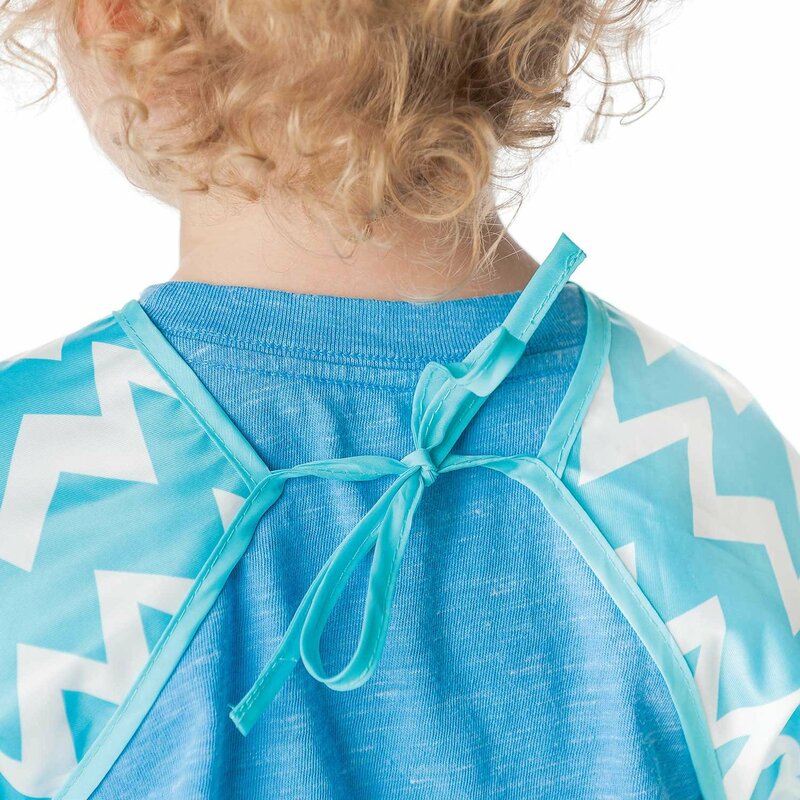 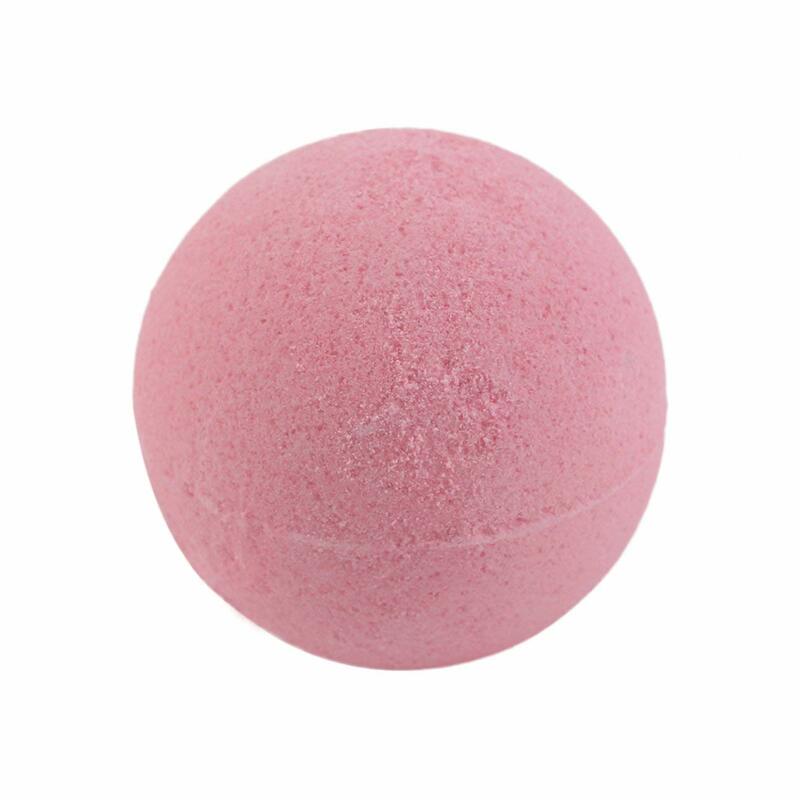 Very beautiful, easy to attach. 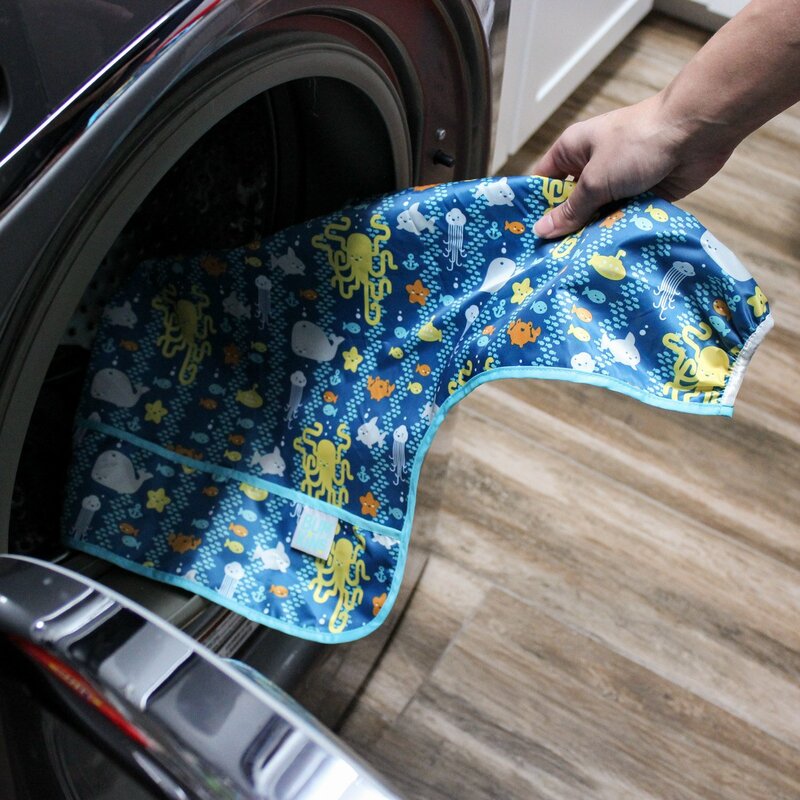 Waterproof fabric. 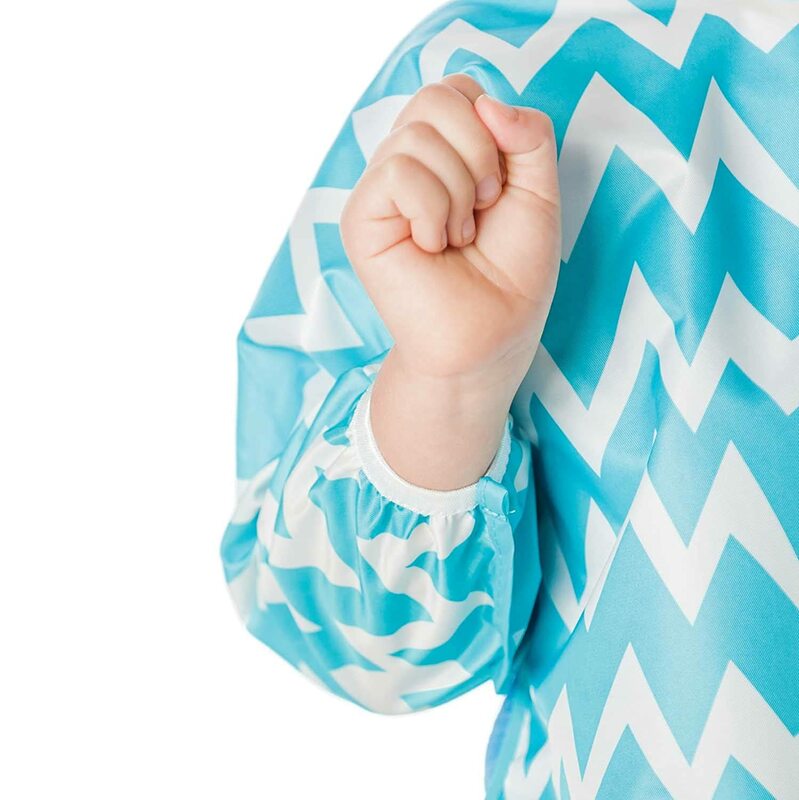 Cons: the elastic at the end of the sleeves are white and very messy... needs a hard wash at each use to keep it nice.